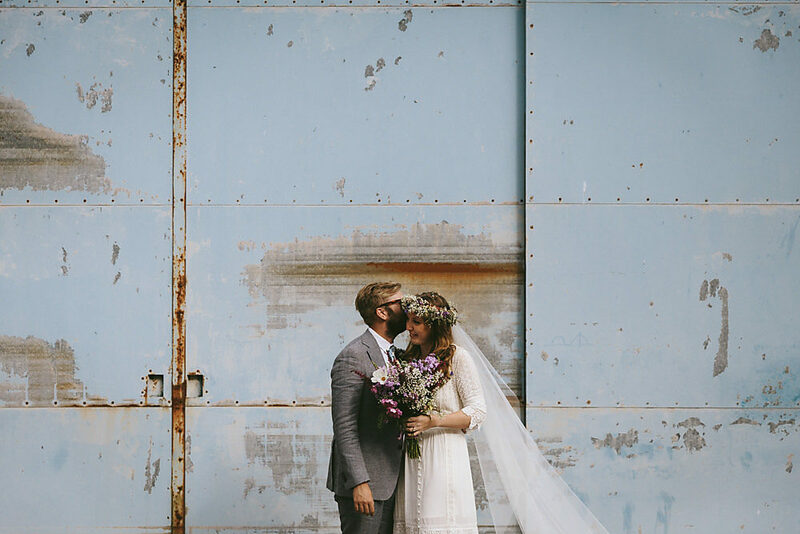 Preparations for this DIY bohemian wedding started by clearing out the cow sheds at Bride Zee’s parents home for the fabulously creative barn reception. The styling, decor and details were all carried out by the couple or their super talented family and friends. The wild flower arrangements were all courtesy of Zee’s grandmothers amazing floristry skills, and lovely friends stepped up and made the dream catchers hanging in the tress at the outdoor ceremony. 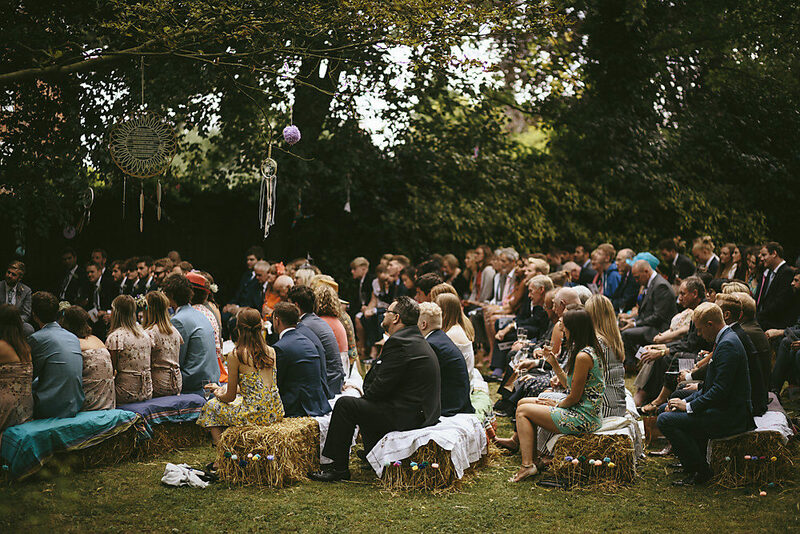 The gloriously heartfelt ceremony took place in the garden under a foliage arbour with the guests seated on haystacks. 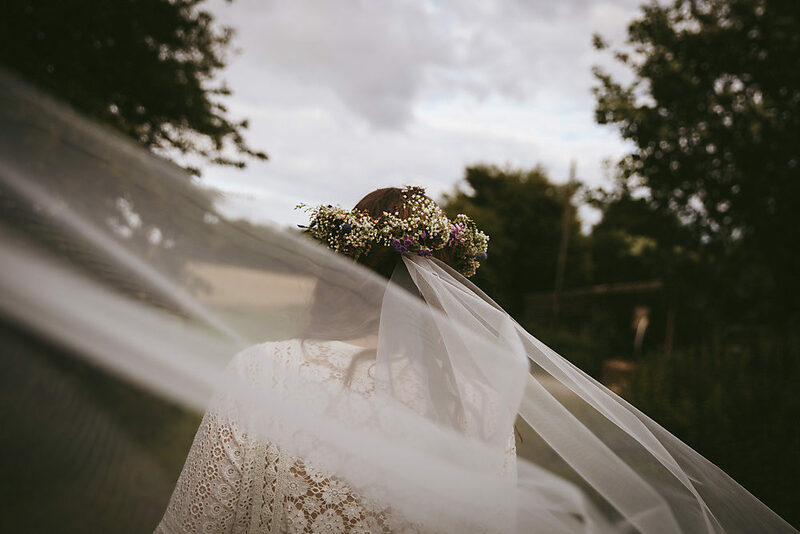 Zee looked a picture amongst the natural setting in a flower crown and boho lace gown by Spell and the Gypsy, as did her maids in floral dresses by Auguste. 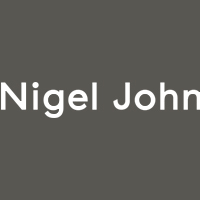 Can we also talk about the breathtaking couples portraits by Nigel John, the one of Zee’s billowing veil literally made me gasp it was so beautiful. Plus there are pineapples, festoon lights and pure joy every where you look. 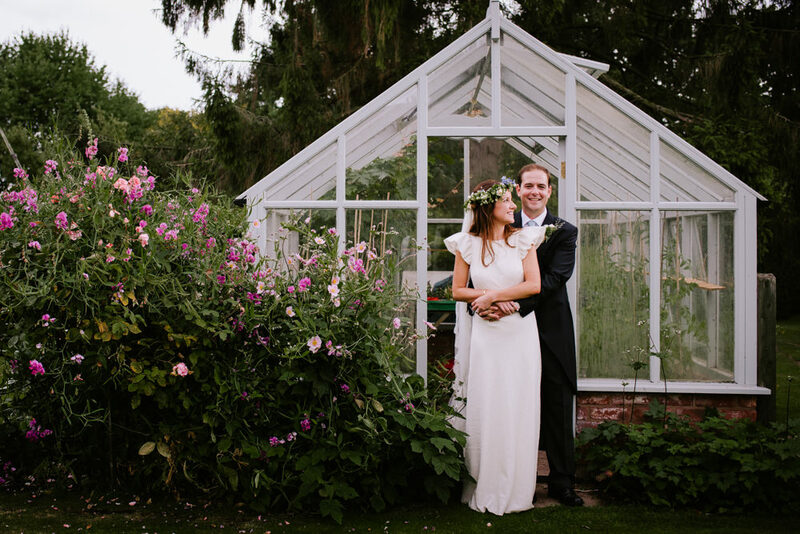 Homespun and beautiful are exactly what spring to mind for this bright back garden wedding. 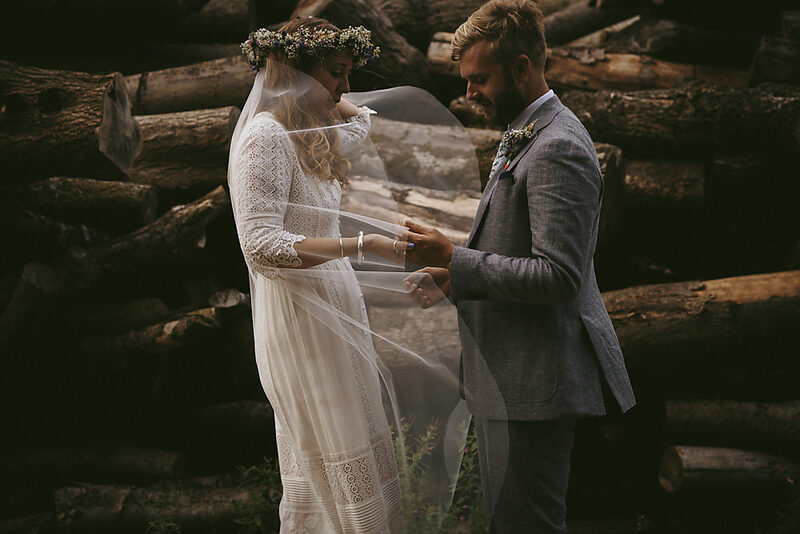 I just love it when a couple pour their absolute heart and soul into their wedding and it’s apparent for all to see in the DIY decor and vibes of the day. 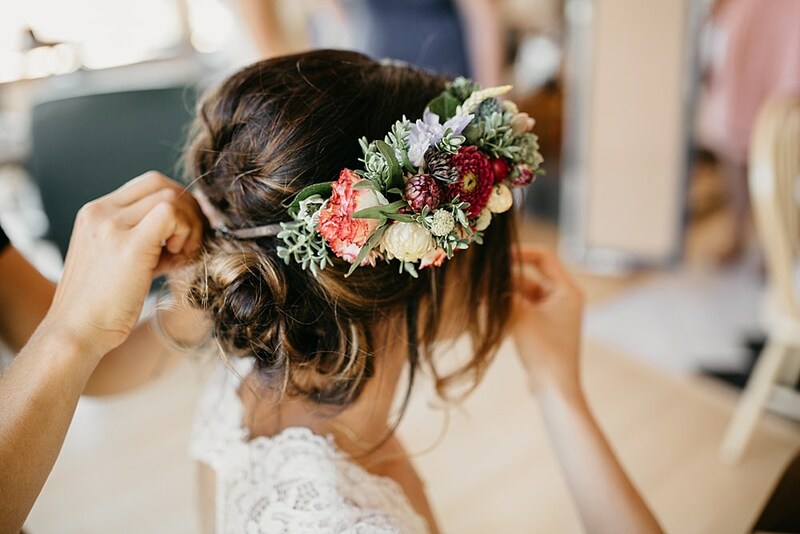 A rainbow of colour definitely fills all the images by Marianne Chua Photography and can be seen in the hanging ribbons, fabulous florals and rather helpful tub of sunnies. 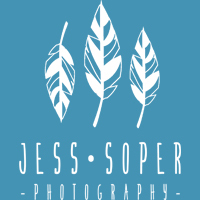 Not to mention all the lovely stationery and signs designed by friends. 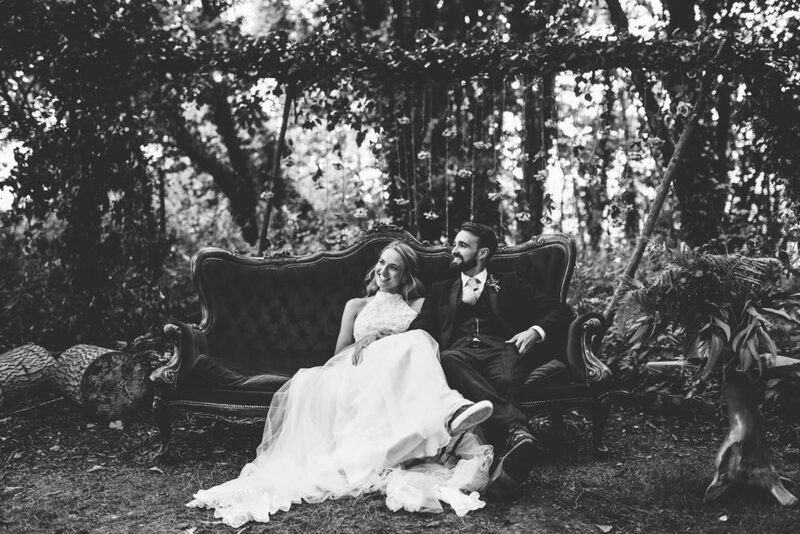 Bride and groom Christina and Jordan are absolutely beauts and will have you smiling from ear to ear. So grab a chair and take five to enjoy every moment. I think I always say this, but I really mean it, so I’ll say it again, wouldn’t it be so lovely to be able to get married at home? Everything is familiar, you feel at your most relaxed, plus you really do get to have a day your way. 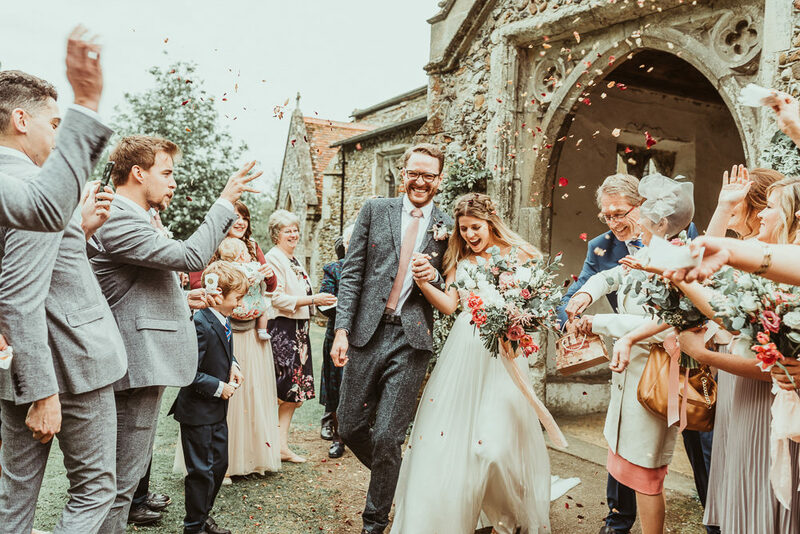 Tor and Tom’s big day consisted of a gorgeously decorate marquee reception, full of lemons, DIY bunting and home-made cakes, not to mention all the wild florals, plus a whole lot-of love and fun captured by J S Coates Wedding Photography. 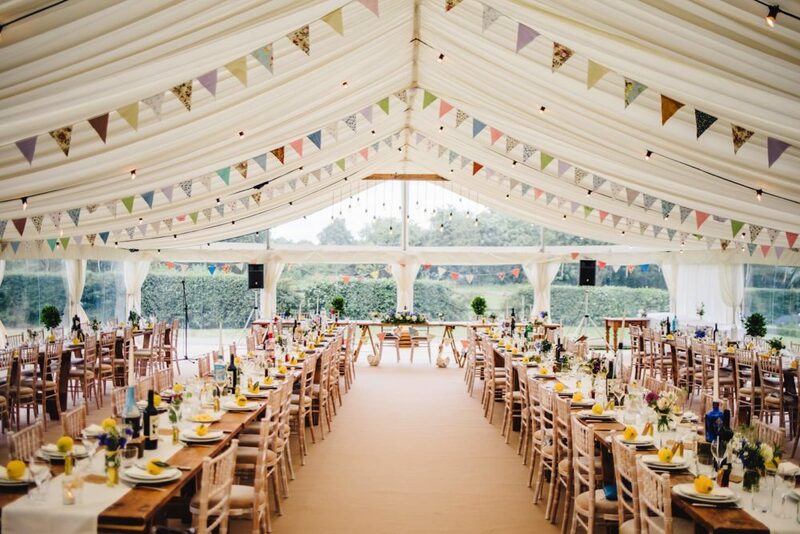 Get ready to get your groove on at this brightly coloured festival themed wedding. I guarantee it’ll be the perfect start to your weekend. 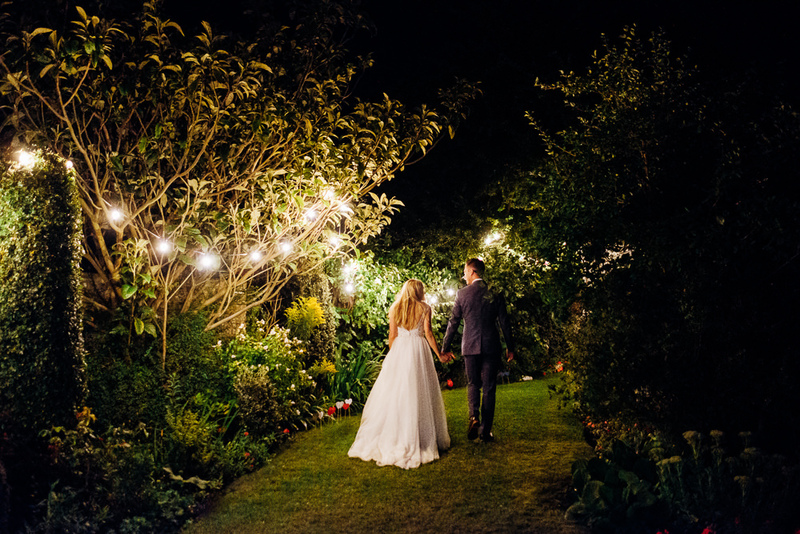 If there’s one place you feel totally at ease it’s at home, and bride and groom Charlotte & Jonathan just knew this would be the perfect place to celebrate their wedding day in style. 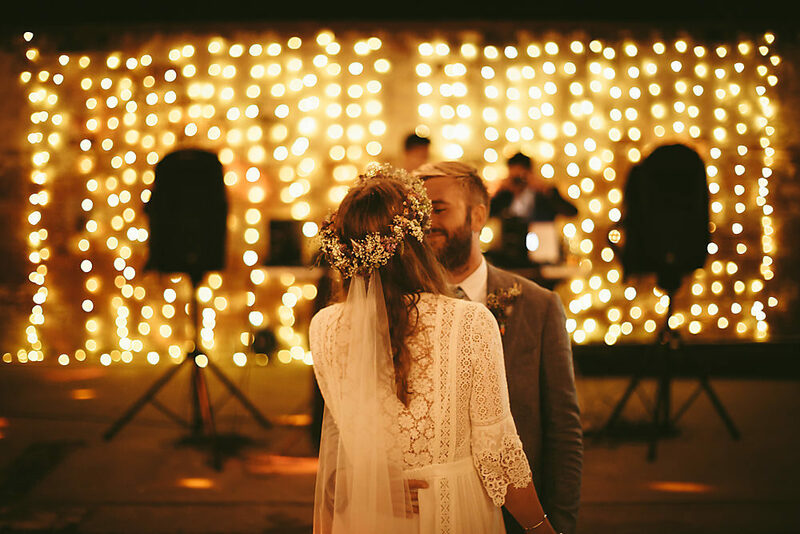 They hired a fabulous tipi, decked it in wonderful DIY decor and wild flowers, and all this pretty culminated in a full dance floor and fireworks display. It sounds like the ideal day and I can just tell from all the emotion filled captures by McGivern Photography it really was. 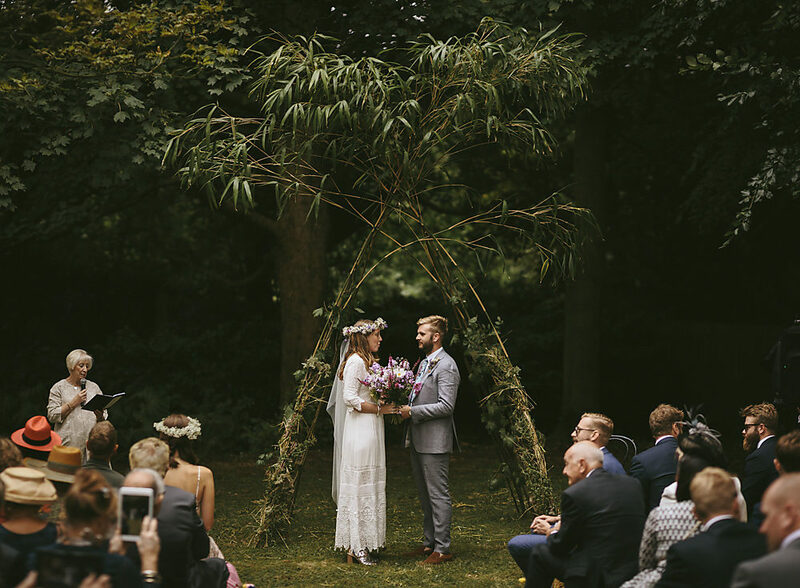 The love, fun, laughter and sentimental nature of this ‘at home’ tipi wedding literally fills your soul it is so beautifully captured by Barney Walters Photography. 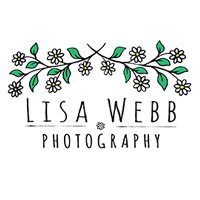 There’s homemade cakes, stunning floristry from the bride and her mum, and some truly amazing outdoor sets ups, including hanging gin bottles, grand pianos and wooden dressers. 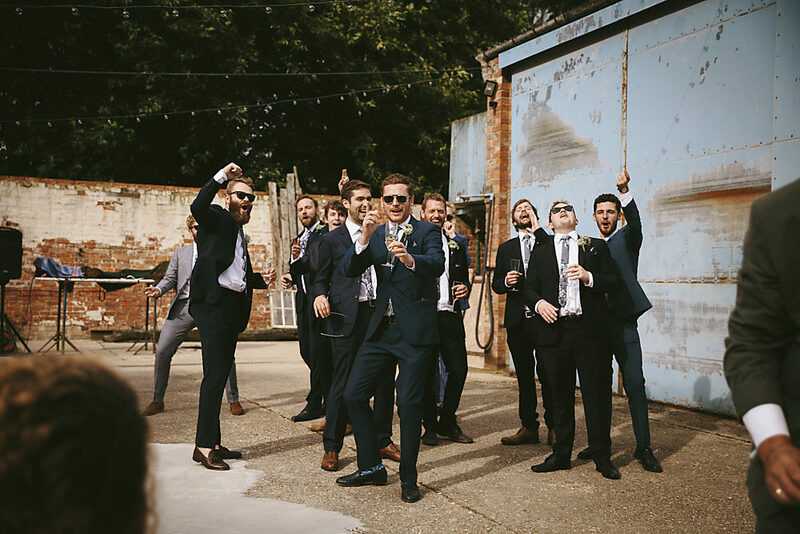 The evening culminates in the bride and groom challenging one another on the dance floor to beer pong and the bridal party taking to the neighbouring fields for some serious squad goal snaps. You ready to have your mind blown? Thought so. 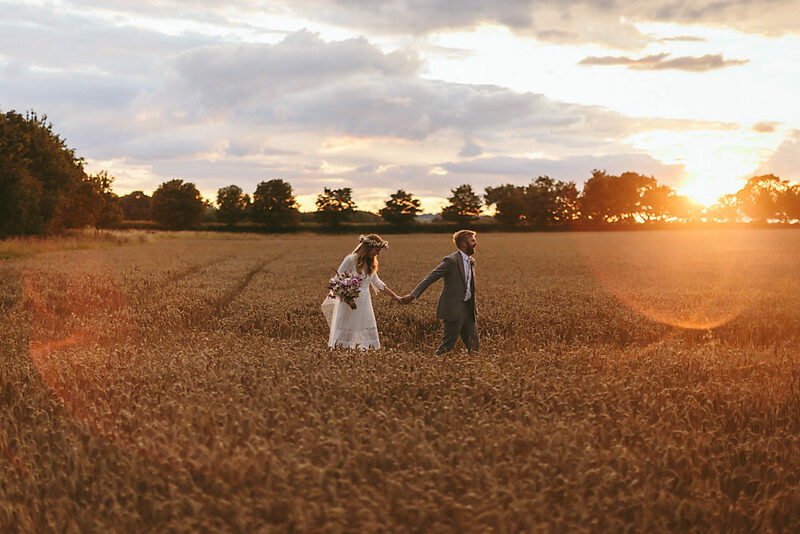 I’ve definitely got that Friday feeling poring over this glorious back garden wedding by Lisa Webb Photography. The colours and blooms are bright and beautiful as is all the decor and detail that has gone into this at home celebration. Have you seen the homemade cake yet? 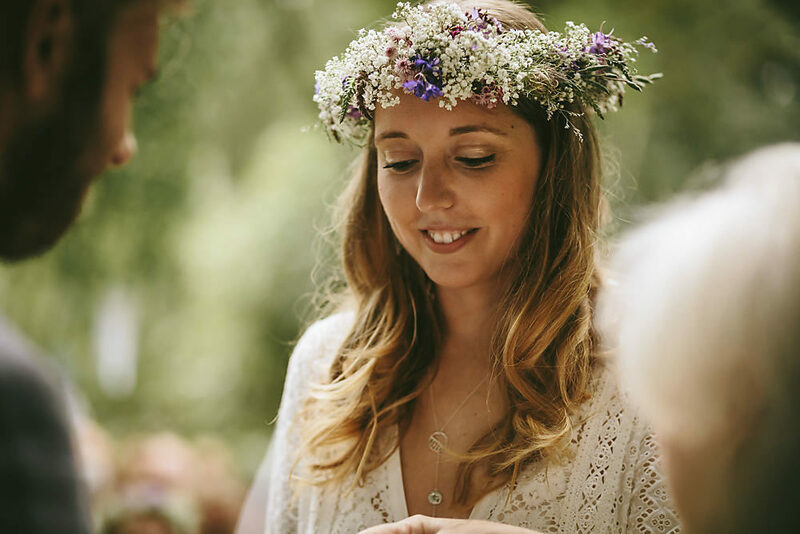 Bride Mari looks unbelievably chic in a pre-owned gown and I just love her wild flower bouquet and crown. Her bridesmaids are the epitome of cool too in yellow dresses from the hight street, and complimenting all the country vibes is groom Felix in a tweed suit. Now if you need cheering up after a loong week, this is the wedding for you. Enjoy lovely ones. Right are you sitting comfortably? Then I shall begin. You probably want you’re pinning fingers at the ready too as there’s not one, but two days of inspiration, DIY decor and festival vibes to take in. 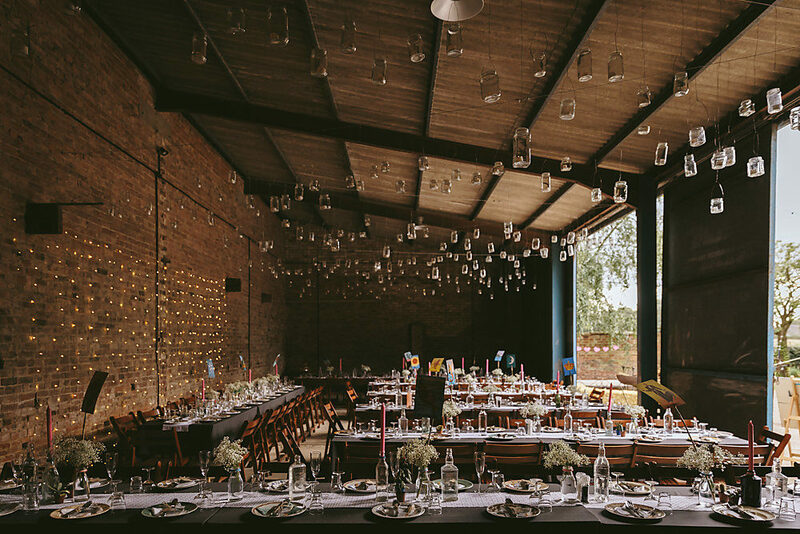 Lets start by mentioning the adorable location for all this pretty, the brides grandparents farm, which has been home to many of the family in the past as well as hold numerous celebrations. All the details filling the stretch tent and barn are bang on. All homemade, hand crafted & DIY’d to perfection by the bride, groom and their trusty helpers. Both Pippa & Myles look SO incredibly in love and absolutely stunning in their wedding attire. Myles ops for a traditional tartan kilt and Pippa looks a vision in her St Patrick dress. Have you seen the beaded back yet? WOWsers. All captured beautifully by Colin Ross Photography whose picture’s will have your heart thumping they are so adorable. A lot of hard work goes into at home weddings, and this is SO apparent at Carrie and David’s sentimental farm celebration. From the multiple types of beers brewed from the hops on the farm, to the personal bride and groom glamping tent full of memories of their time together. 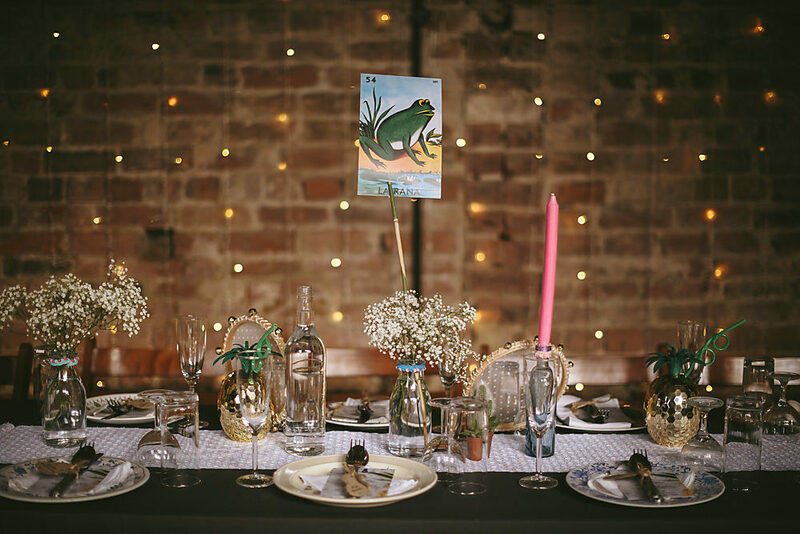 Not to mention all the mis-match china, hand stamped napkin favours and fabulous wild florals making up those delicious rustic table scapes. 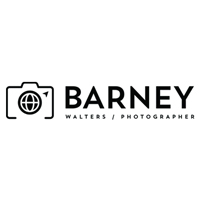 Because of the personal location, Carrie and David were able to have their pet dog with them all day, who nearly steals the show in the images captured by Gloria Byler Photography. 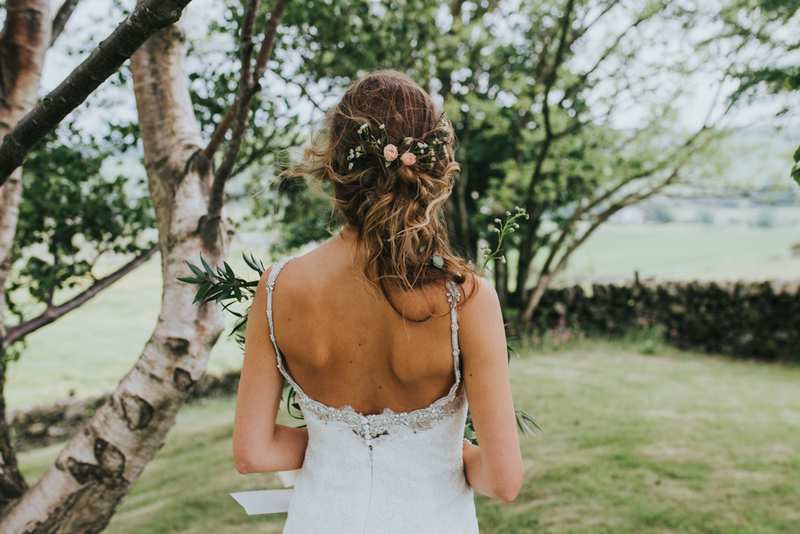 I say nearly because for me although everything else is amazing, Bride Carrie’s keyhole back, lace gown and flower crown literally make my heart sing. Pinning fingers at the ready everyone. Enjoy. 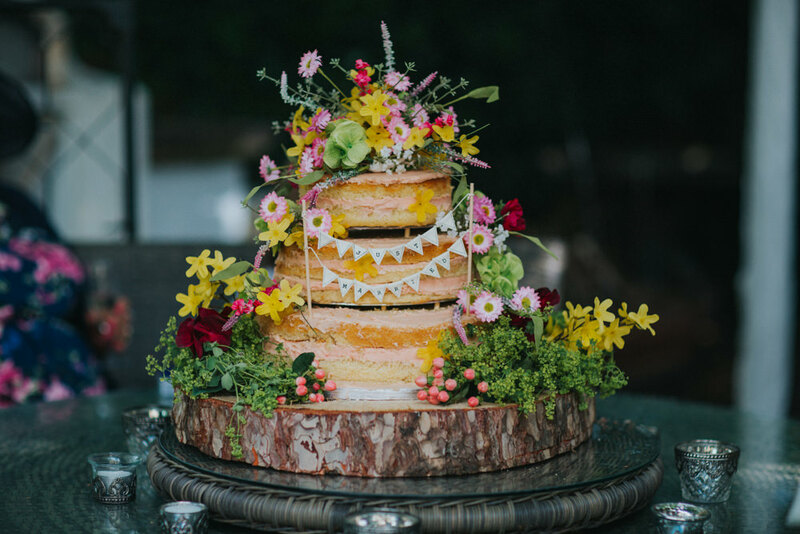 There’s no doubt about it this pink and gold wedding is delicious, and what makes it even more special is it was all held at the brides family home, with DIY geometric decor, stunning flowers and a fabulous home baked wedding cake. Both the bride and her best girls looked stunning in separates. 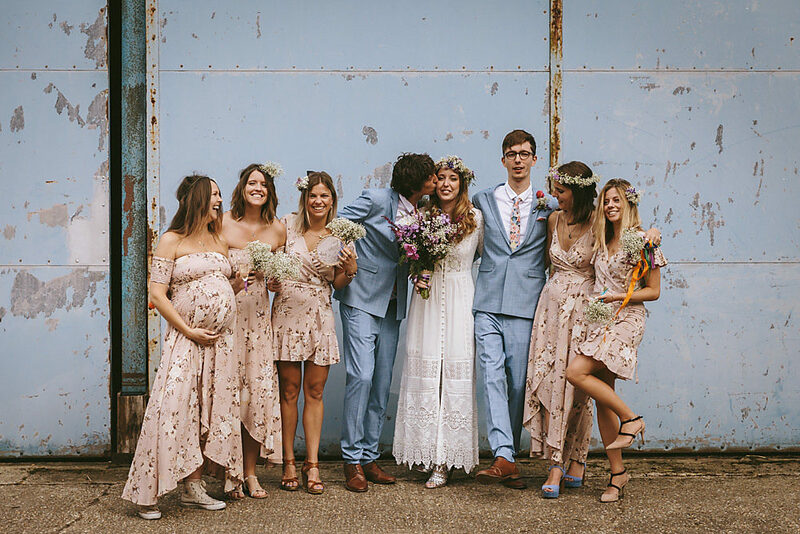 Ellen wore a Catherine Deane Havanna Corset and Ankia Skirt which was the perfect choice for this stylish, but relaxed celebration, and her bridesmaids wore pleated TFNC skirts with different tops & shoes to suit their personalities. 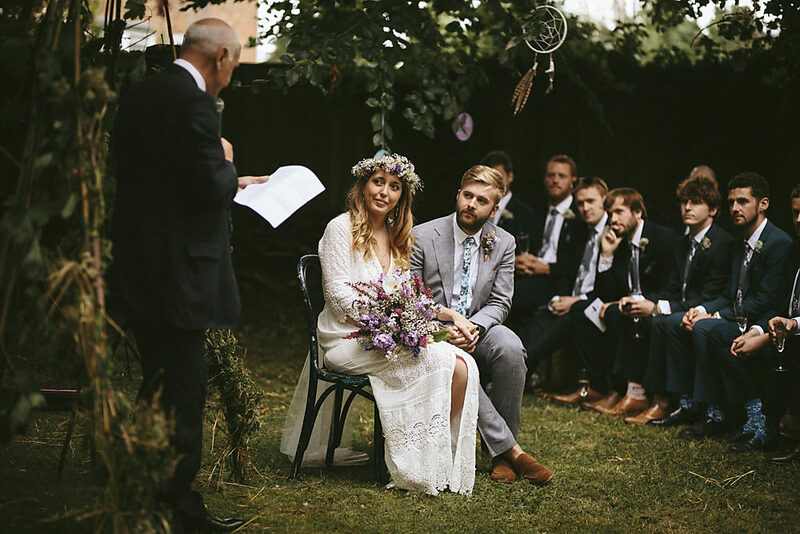 Capturing this PIN-tastic back-garden wedding was the lovely Jess Soper, whose photography style makes this sentimental day radiate even more.